Notes: This recipe contains: Vitamin A, B-Vitamins, Vitamins C & E, protein, fibre, calcium, iron, magnesium, phosphorous, potassium, zinc and (per serving) is low in sugar, salt and sat fats! 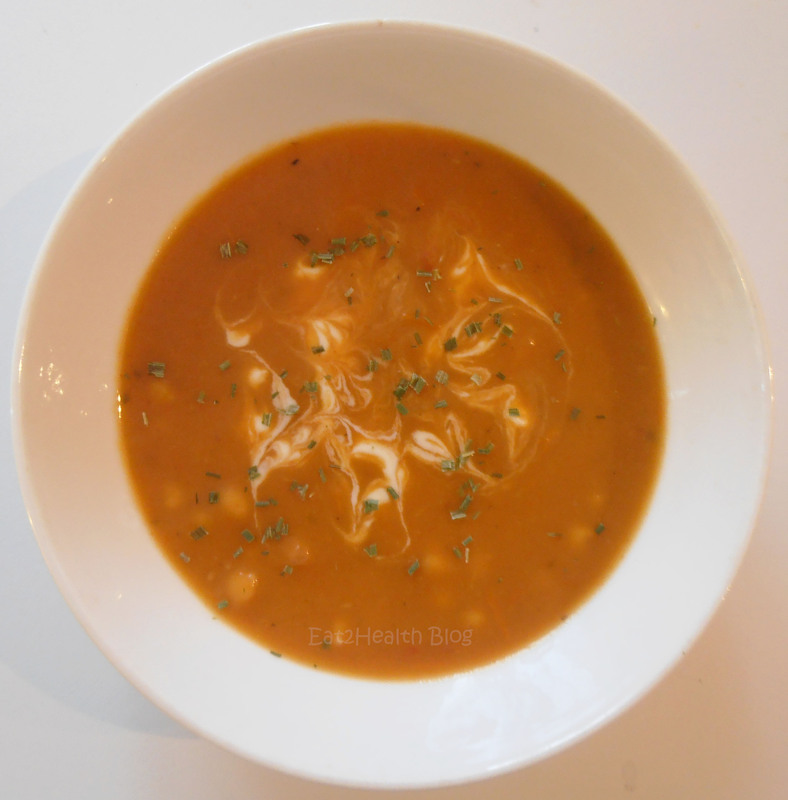 Nearly a year ago we introduced you to a delicious roasted tomato and basil soup (with lentils)! As we approach soup season and sadly the end of the UK tomato season once again, we decided to revamp our tomato-based soup. The result: dancing taste buds and another easy recipe for everyone to prepare! 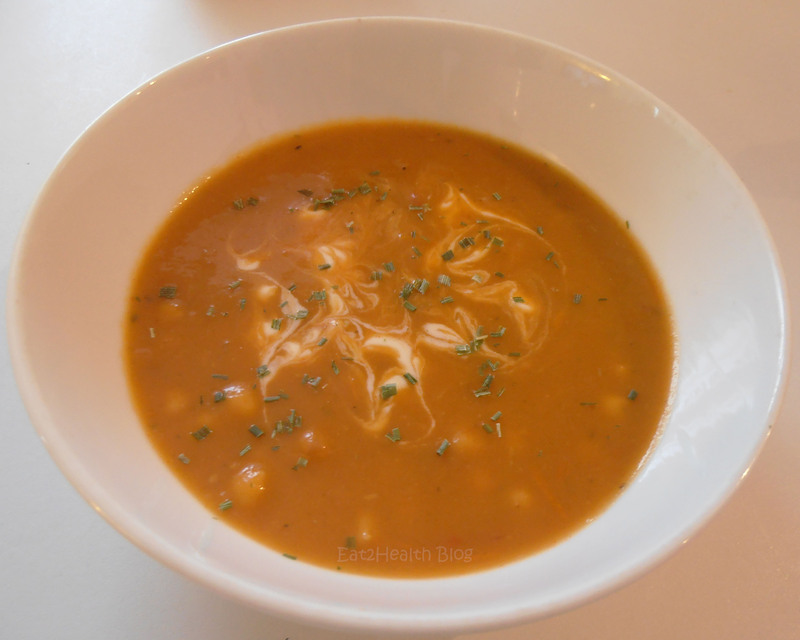 Yes, this soup really made an impression on us, so much that we are having it again this week! So go on and enjoy a bowl full of beautifully roasted and smoky tomatoes, sweet red onion, green bell pepper, garlic and tender chickpeas. It goes great when served with some warmed pitta bread, perfect for soaking up of all of these delicious flavours right until the end! Tip: The smoked paprika really does amplify the flavour of the roasted tomatoes, so if you can, purchase a high quality brand (as it really will make a difference in this case)! 1. Heat the oven to 190°C/ 375°F. Line a roasting tin with a silicone mat (if necessary); our tin was looking a little shabby so we had no choice! 2. Wash, remove the stems and then halve the tomatoes. Peel and chop the onion into wedges. Wash, remove the core, deseed and then roughly chop the bell pepper. 3. 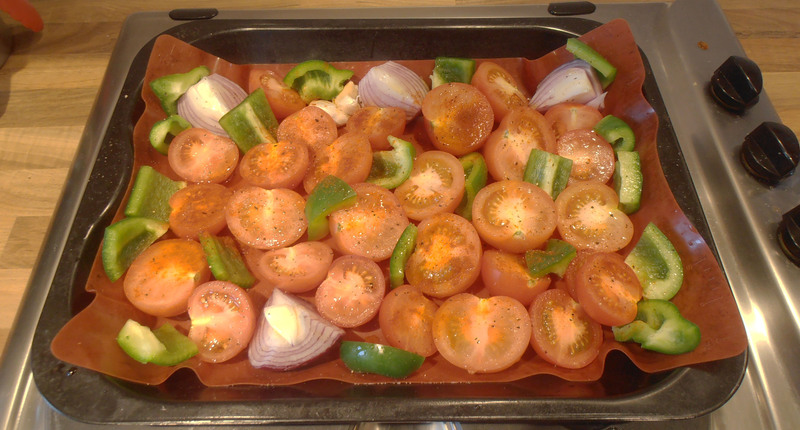 Place the tomatoes cut-side up into the roasting tin and then arrange the onion, bell pepper and garlic around the them. Sprinkle over 2g of the smoked paprika. Drizzle over the olive oil and maple syrup. Season with a pinch of salt and a few grinds of black pepper. 4. Place the tray onto the middle oven shelf. 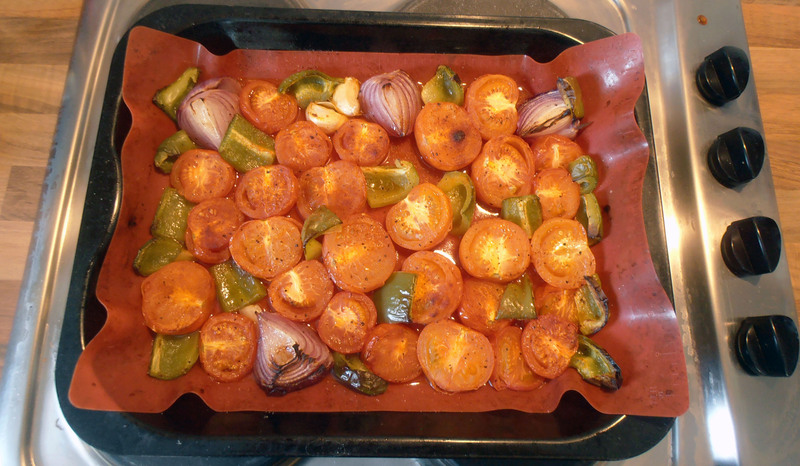 Roast for about 30-35 mins or until softened and slightly crispy around the edges. Remove. Allow to cool slightly. 5. 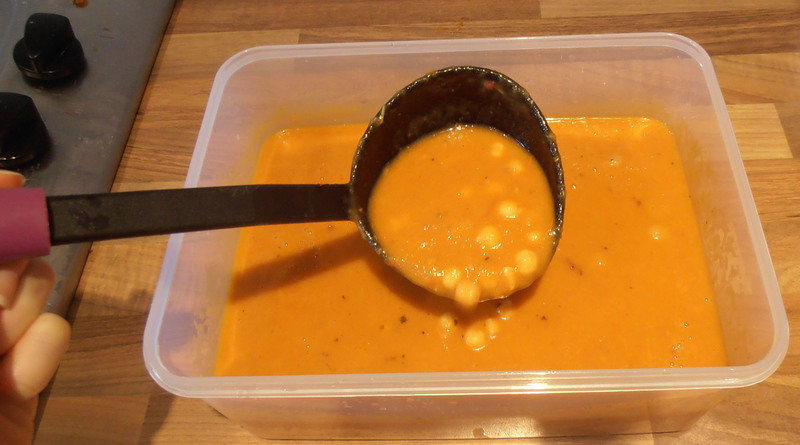 Drain and wash the chickpeas. 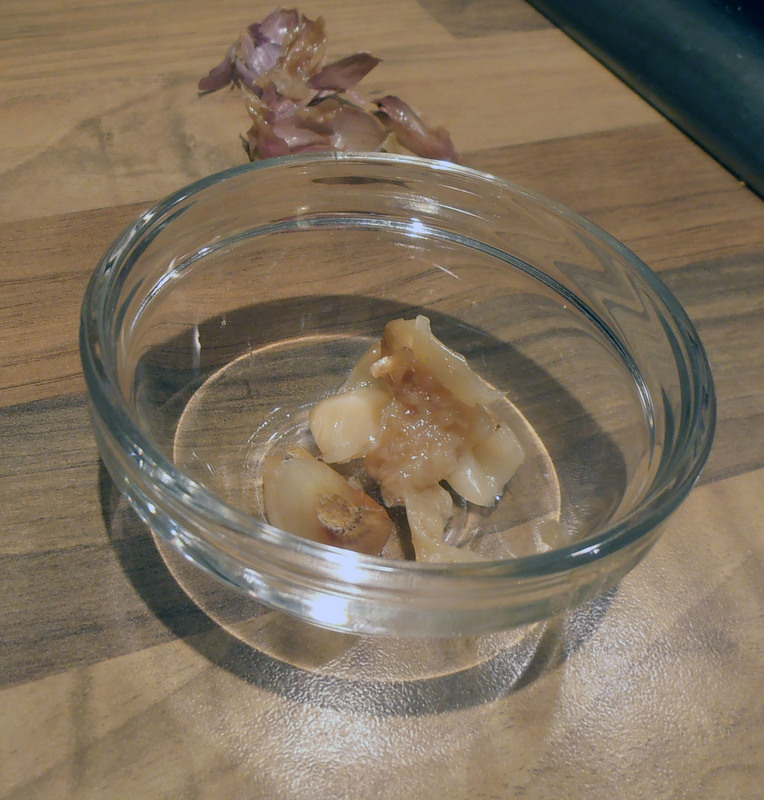 Peel the skin from the garlic clove and then discard it. 6. 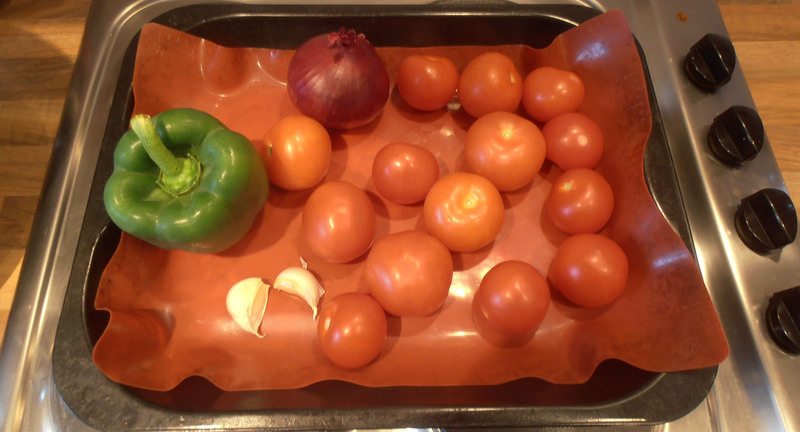 Place the tomatoes, onion, bell pepper, garlic, all of the cooking juices from the tin and 200ml of vegetable stock into a blender. Blend until smooth and creamy. 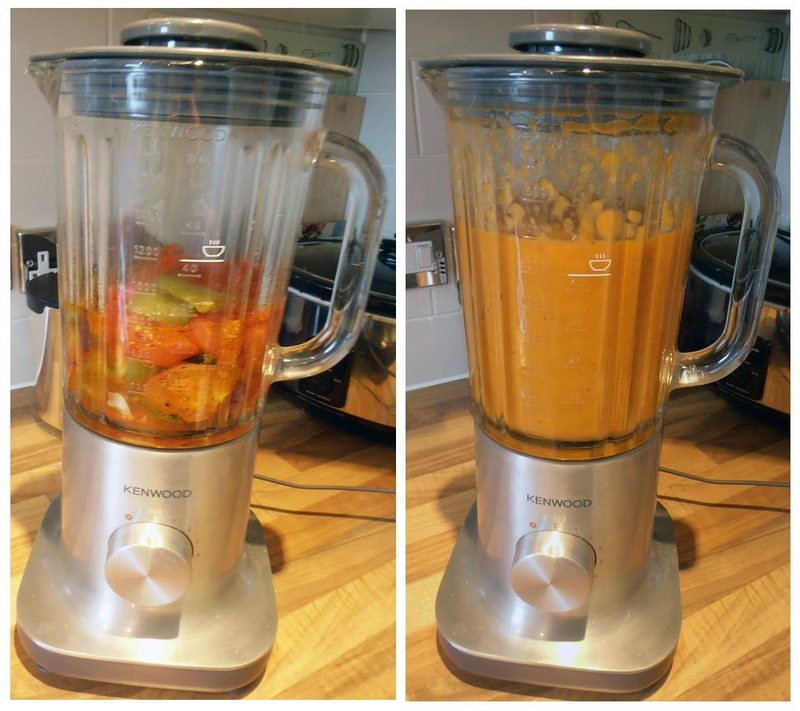 Quick tip: You can use the remaining vegetable stock to help gather any remaining bits of purée veggies from your blender. 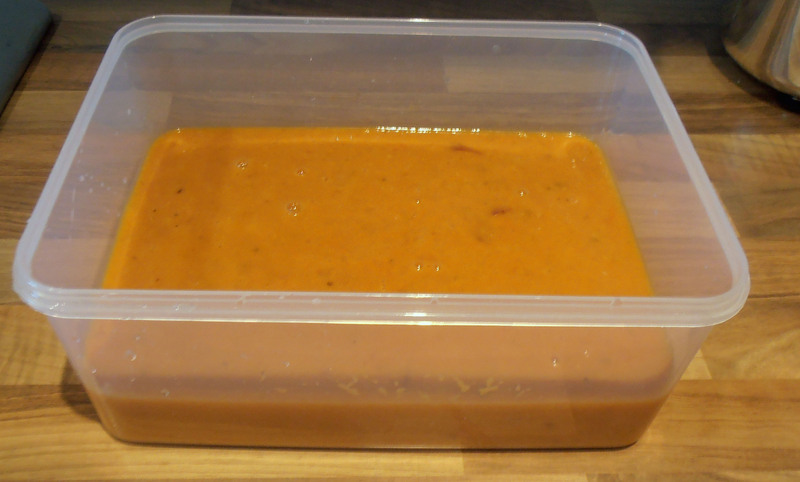 Just add, pulse and then pour into the container or pot with your existing soup. 7. Pour into a resealable and air tight container (if meal prepping!) or non-stick pot. 8. Add the chickpeas, remaining vegetable stock and the remaining smoked paprika (depending on your taste). Stir until combined. Taste and season it as necessary. 9. Place the pot over a medium-low heat and reheat until warm (if applicable). 10. Ladle the soup into a bowl, garnish with some plain/unsweetned soya yoghurt and chives (if desired) and serve with a warmed wholemeal or GF pitta bread ! Refrigerate any leftovers in an air tight and resealable container; reheat and consume within 3-4 days. Alternatively, store and freeze; defrost, reheat and consume within 1-2 months. you make it look so easy…thanks great recipe….